Ken and Sarah Ramsey’s homebred Camelot Kitten surged along the hedge to outduel Beach Patrol by a head to win the 25th running of the $300,000 American Turf Presented by Ram Trucks (GII) for 3-year-olds. Trained by Chad Brown and ridden by Irad Ortiz Jr., Camelot Kitten covered the mile and a sixteenth on a firm Matt Winn Turf Course in 1:41.13. It was the second victory in the American Turf for Brown, who saddled Noble Tune for the win in the 2013 running. Favored Airoforce set the pace with a first quarter-mile in :23.27 and was joined in the run down the backside by Shakhimat as they surged through the half-mile in :46.51. The top two continued to duel to the head of the stretch where they were joined by Beach Patrol who took the advantage in upper stretch. However, Ortiz sent Camelot Kitten through along the inside and prevailed in a prolonged stretch duel. 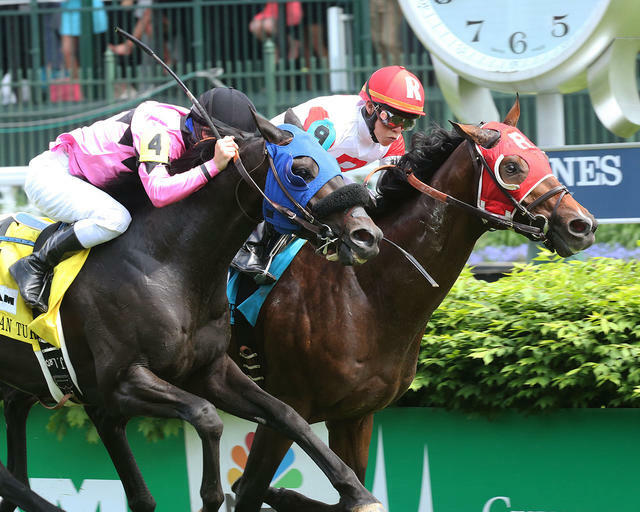 The victory, the first stakes victory for Camelot Kitten, was worth $171,120 and increased the colt’s earnings to $278,520 with a record of 5-2-2-0. Camelot is a son of Kitten’s Joy out of the Forestry mare Celestial Woods. Camelot Kitten rewarded his backers with payoffs of $39.40, $16.80 and $11.80. Beach Patrol, ridden by Flavien Prat, returned $7.40 and $5.60 with Surgical Strike finishing 2 ¼ lengths back in third under Luis Saez and paying $7.20 to show. Airoforce was another half-length back in fourth and followed in order by Azar, Converge, Dressed in Hermes, J R’s Holiday, Shakhimat, American Patriot, Two Step Time, Cutacorner and Frank Conversation. 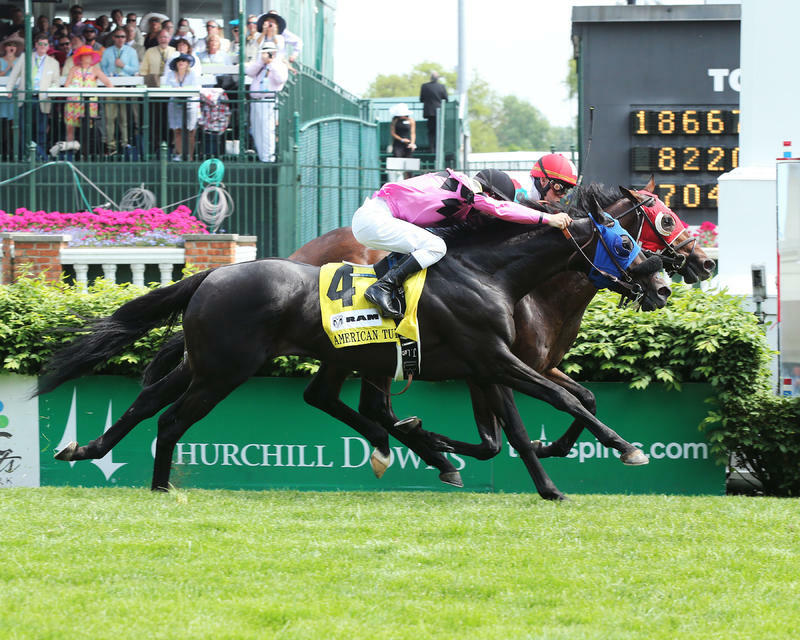 Q: Would you consider starting in the Belmont Derby ((GI) July 9)?